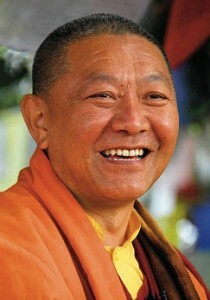 Rinpoche will be visiting us at Bosham House on Saturday June 15th and Sunday June 16th and will be giving teachings on Buddhanature – the qualities of Buddhahood present in all beings. Rinpoche will also be giving talks in Southampton on Monday 17th when he will speak on Generating Immeasurable Loving-Kindness and Compassion, and Tuesday 18th when the topic will be: Responding with Compassion to Invasion and Exile. 10.30 to 12.30 and 2.30 to 4.30 both days. This entry was posted on May 11, 2013 at 2:00 pm and is filed under News, Programme, Ringu Tulku Rinpoche, Teachings, Tibetan Buddhism. You can follow any responses to this entry through the RSS 2.0 feed. You can leave a response, or trackback from your own site.